Here at Mangar Health we’ve nothing but respect for the thousands of dedicated individuals working across the globe in care homes, looking after their elderly residents. Care home workers do an amazing job day in, day out but, like any job, that’s not to say that all aspects of it will be fun or easy. As part of our #UpliftingCare campaign we reached out to our all followers on Facebook, Twitter and LinkedIn working in the care home industry to find out what were the best and worst parts of their jobs; the hardest to deal with and the most rewarding. We’ll be sharing all their responses over the next few weeks but below you can find the five phone calls most care home workers told us they dreaded having to make. Breaking the news to someone that their loved one is ill will never be a nice call to make. Whilst it’s true that the majority of people in a care home will be there because they’re already either infirm or unwell; having to call a relative to tell them that their husband/wife/Mother/Grandfather has gotten worse is always unpleasant. The person on the other end of the phone will most likely be upset and worried. They’ll need comforting and reassuring that their loved one is being looked after whilst they’re unwell and it will be the responsibility of the person making the call to do that… and that’s a big responsibility! Harder still is having to tell someone that their loved one had been rushed to the hospital. It doesn’t matter the reason, from something as minor as a sprained ankle to something a lot more serious, having to make that call is always going to cause someone upset and worry. No doubt they’ll be panicked and upset and it’ll be the care home worker’s duty to calm them down and let them know what to expect next. The call no one wants to make. In times like this ‘I’m sorry for your loss’ just seems so impersonal but what is the right thing to say? What can you say? A good care assistant will, of course, have a lot of empathy for both the person that has passed and the person they’ve the sad task of informing but empathy, by its very definition, is the ability to share someone else’s emotions. That’s why this can be one of the hardest parts of the job. Whilst telling someone their loved one has died, the care home worker will be sharing in a small part of that persons grief; even more so if they’ve been caring for the resident that’s passed for a while. When compared to the previous point, having to tell someone that their loved one has fallen over might not seem so bad. However it can be a difficult phone call for a variety of reasons. With all the other calls we’ve mentioned, as upsetting as they are, they’re out of peoples control. 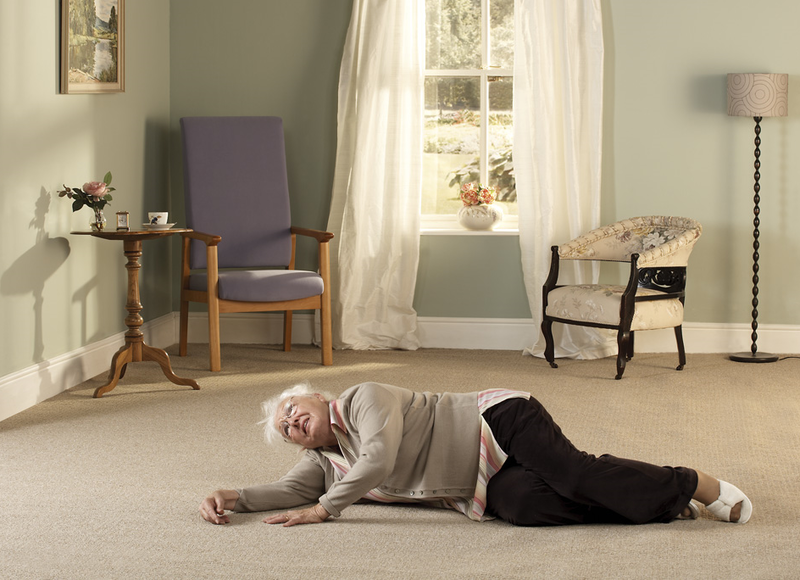 When a fall occurs the person being called will most likely go into a semi panic; they’ll want to know how their loved one is, what’s happening, can they help and should they drop whatever they’re doing and come immediately. The care home worker’s job then becomes calming them down, reassuring them and explaining what will happen next. 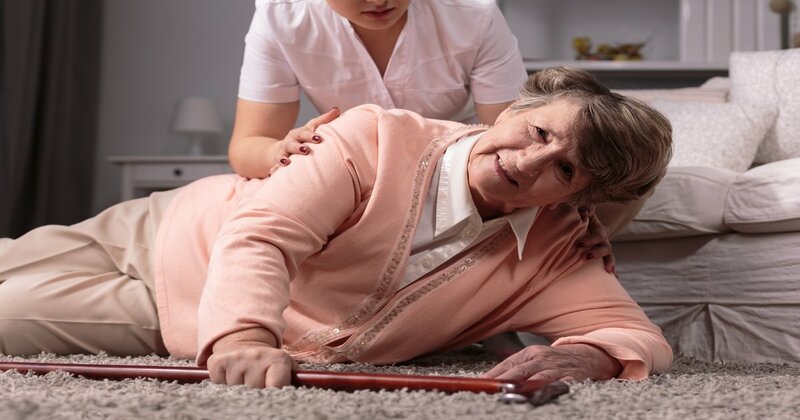 When an elderly resident of a care home falls over and is uninjured there are several different things that can be done for them. A few care homes still have a manual lifting policy (although most care homes have stopped doing this now), a few will use one of our Camel’s or ELK’s to easily get them back on their feet but most will automatically dial 911 in line with their fall care procedures. The problem is, once the faller has been identified as uninjured they’ll be classed as a low priority for the ambulance service. This can mean waits of between one to four hours for the ambulance to arrive and get them back on their feet, all whilst the resident remains fallen on the floor. Now imagine you have to make that call. Would you want to be the one to make that second call? Can you imagine the persons reaction or how the faller must feel? It’s not a nice part of the job at all and yet it can be so easily avoided. There are many, many ways to lift an uninjured faller which don’t involve calling out an ambulance . Our Camel and ELK emergency lifting cushions just being two of them. If you’d like a demonstration on how one of our Camels or ELK emergency lifting devices could help improve the dignity of your care homes residents then feel free to arrange a demonstration or purchase one here. Do you work in a care home? We’d love to hear from you below. What’s the worst call you’ve ever had to make?